Are you looking for a home to make your own, close to everything and at a great price? 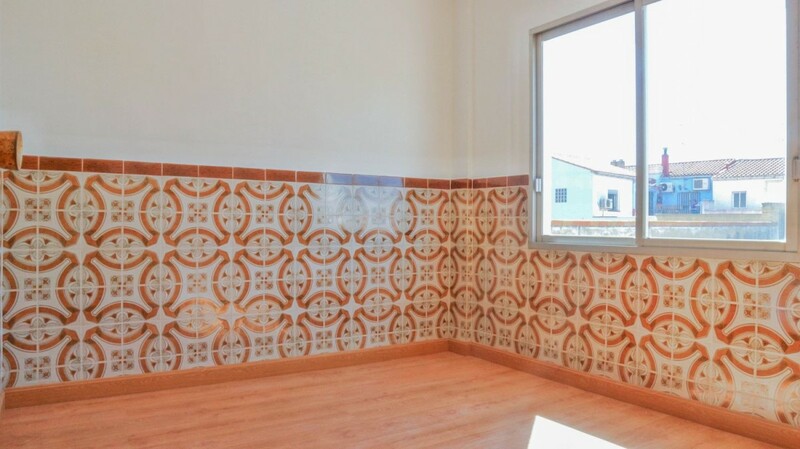 We present this spacious apartment located on the street La Vall de la Pobla Llarga, next to the institute near the post office and in a straight line to the center it crossed a pedestrian street. The apartment is on the first floor without elevator, has 4 bedrooms, one double and 3 single, plus a bathroom, and a toilet to reform, in addition to kitchen and gallery. The entire property is finished with parquet floor which gives it a modern and warm look, plus it should be noted the great light that enters both sides despite being a first floor. If you want a home to top your taste this property interests you, come and visit and plan how your perfect apartment will be! 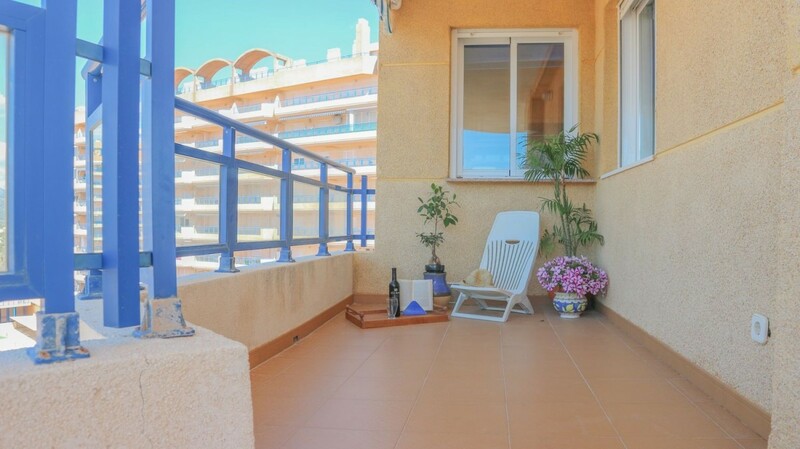 Magnificent apartment very well located on the beach of the Goleta de Tavernes de La Valldigna, just a minute walk from the beach, in a building built in 2003, with common areas such as gardens, communal pool and sun terrace. The house, located in a second height, with east and north orientation, distributed in: glass entrance hall, ideal to relax, read a book, enjoy a rainy day or simply disconnect during the holidays. From the same hall we access the house through an armored door, inside we find two double bedrooms, one with en suite bathroom, a single room, a master bathroom with shower and screen. It has a magnificent kitchen, equipped with appliances, dishwasher, storage space and laundry area, from it we access the balcony which we also have access from the living room, bright, with air conditioning, heating by accumulators, and ceramic floor. The balcony of the house, with an area of 18 meters, from which we can see the sea, the blue lake and the same street Moyo, the perfect space to spend the hot summer evenings, feel the breeze of the beach and dinner listening the sound of the waves. , also on this balcony we also have a storage room where you can store the summer utensils. Finally, it should be noted that the house is sold with parking space and storage included in the price, an ideal home to enjoy with the family, or simply use it as an investment and exploit renting in the summer months. If you want a jewel in Tavernes this is a diamond in the rough, we call and come to see it. Brand new downtown apartment in Albaida, located on Avenida de la Fira, opposite Consum supermarket and surrounded by shops and leisure areas, the building with elevator was built in 2007 has 6 floors, the house is located on the 3rd, with a useful surface of 121 meters distributed in a bright living room with sliding wooden doors, kitchen with space for dining table, and dishwasher socket, equipped and brand new, in addition to having access to the gallery with space for laundry. The house has three bedrooms, one of them the main one, with a triple built-in wardrobe, in the main room we also have a bathroom en suite with bathtub. We also have two more rooms, both simple and with built-in wardrobes, in addition to a main bathroom, with sliding door to maximize space and shower. A house in optimal condition, brand new and with an excellent location, bright and with good finishes, in addition to central air conditioning, lined wardrobes, video intercom, garage and storage room. 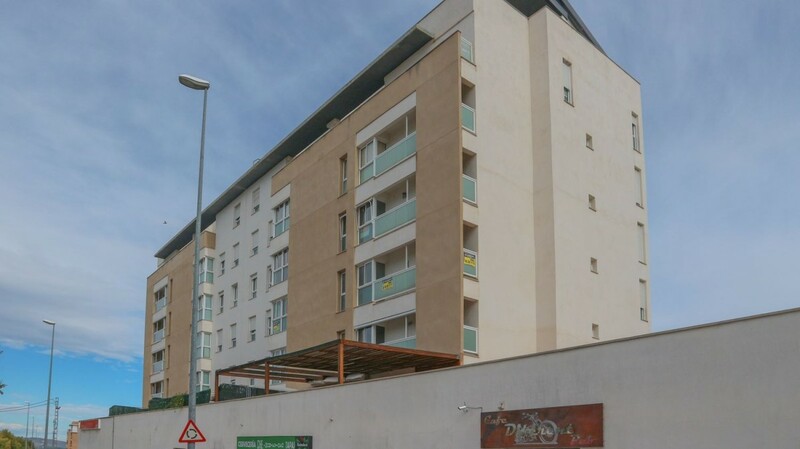 If you are looking for a flat in Albaida come see this, you will love it! 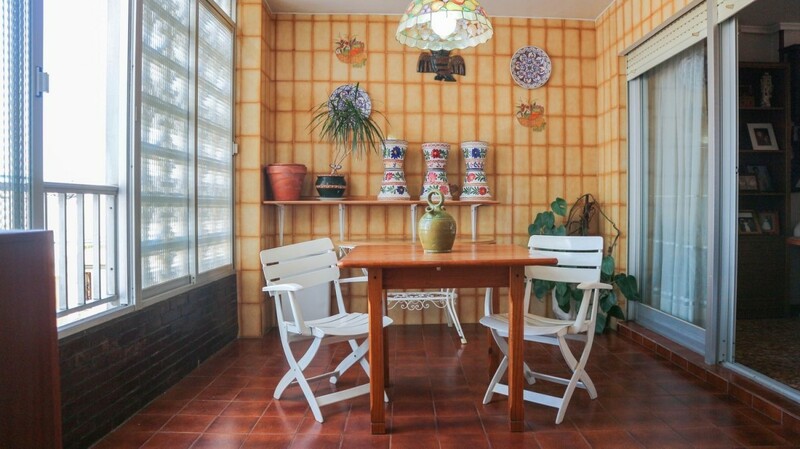 We present this spectacular house in Almássera located on Avda. Santa María del Puig, 10, just in front of the Church, in the center of town, facing the beach, it is cool in summer and it is not cold in winter; on the second floor with lift and ramp for the disabled consists of two double rooms, two single rooms, a large kitchen, a large bathroom, a toilet, a large living room equipped with cast iron fireplace embedded in the wall, a small room to be, and a large room next to the kitchen, also has a large storage room and a large balcony overlooking the beach. Very close to the metro, 15 minutes from the center of Valencia and just 3 kilometers from the beach, in Almássera you will have the atmosphere of a town and the proximity of the city, it is also surrounded by the vegetable garden so you can enjoy long walks in the countryside. 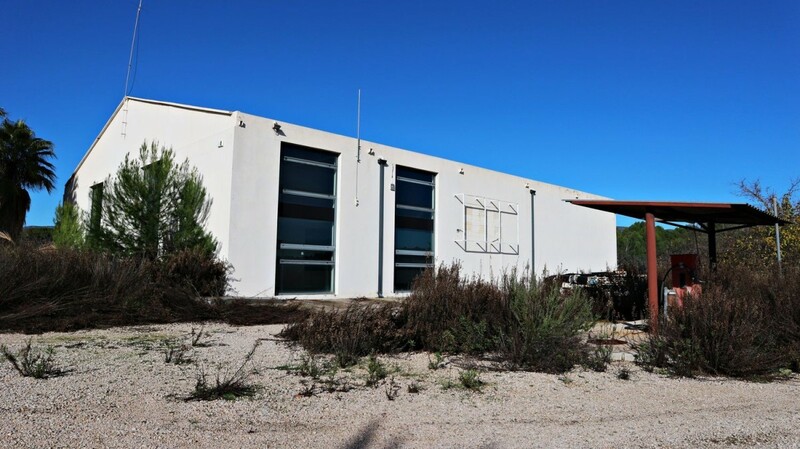 Industrial building for sale Ontynient, located on the road of the Font de la Figuera and only two minutes from the town, a spectacular ship either for its huge plot as for its finishes and design. The ship is built on a plot of 10,500 urban meters, completely fenced, we accessed this plot through an electric sliding door, once inside we see a large area that needs a clearing because it is not asphalted and the vegetation has been opened, trees and olive trees are scattered on the plot, and as outstanding constructions we found a small fuel service station, a outside store, and a portable bathroom in the center of the plot. Also on the outside there are also water intakes and current adjoining the ship, to facilitate work in the Exterior. The main entrance of the ship is composed of an exterior hall with a path to record white on metallic tiles, giving a touch of modernity before entering, once inside the surprise is to find a very large space spread over two floors and with some luxury finishes, labeled glass walls, ceramic floor, ceramic walls with effect of concrete, suspended staircase, electrical installation with high-end lampholders, cabinets recessed, piped music, alarm, in addition to large windows that Lal fill with light and that we can adjust with customized blinds. On the ground floor we find 5 rooms, most separated by glass walls and with light natural, in addition to a toilet and a balo with shower, a laundry area, and three storage rooms. From this floor we can also access the back of the ship, a space totally diaphanous with a roof of 10 meters and where you could do a lot of work, from here we could also access the exterior through a huge tailgate. Finally in the upper part we have 7 more spaces, they can be used as much as offices or meeting rooms and with the same quality as the rest of the ship. In summary, a unique industrial building in a zone, a plot, presence and finishes that make it special, and also at a very economical market price. If you look for a ship in Ontynient do not let it escape, it will last very little. Excellent apartment in the blue Lake of Tavernes de la Valldigna Do you know the blue lake? It is a beautiful natural setting located on the beach of Tavernes, a quiet lake that fuses with the sea, and in the whole fauna that fills the environment with nature and peace. Next to this lake, we find the apartment, located on an 8th floor, of a 12-storey building with two elevators. The apartment of 86 meters built, is distributed as follows, exterior hall, an ideal space to leave towels, hammocks and beach utensils, next to it, a small gallery closed with battery and washing machine. Continuing the hall, we went to the house, accessing through an armored door, inside we have three rooms, all of them double, in addition to two bathrooms, one with a shower and the other with a bathtub. A diaphanous dining room, with integrated and fully equipped kitchen, and with access to the large balcony of the property, where you also find fabulous views of both the sea on the east, the lake and the mountains to the west. The house, also has a garage and storage room, and common elements such as swimming pool, solarium and auditorium, so you can celebrate your events without missing space. 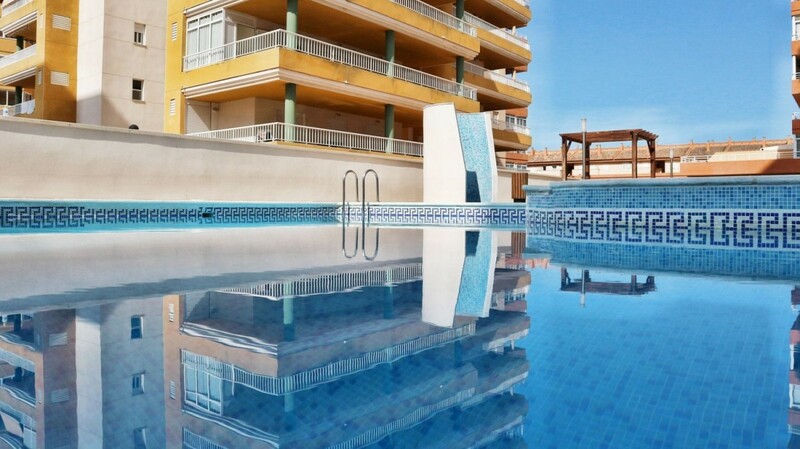 If you are looking for an apartment on the beach come and see us, Azul Lake is waiting for you. Villa located in the Sierra de Ollería, between the cities of Xátiva and Onteniente and only 30 km from the beach of Gandía. Designed by prestigious architect, year of construction 2011, with materials of the highest quality, on a surface area of approximately 14,000 m2, with olive and almond trees. Fully fenced. With a constructed area of 140 square meters on one floor; with panoramic day and night views. Fully furnished. It consists of 3 bedrooms and two bathrooms, one of them, inside the master bedroom. Living-dining room-fully equipped kitchen with pantry and laundry room. The living room with a fully glazed facade towards the porch, from which views of several villages can be seen. The 40m2 porch is closed with glass curtains, equipped with automatic blinds with remote control and equipped with terrace furniture. The house is equipped with underfloor heating and centralized air conditioning system inverter, as well as ceiling fans in the master bedroom, living room and porch with remote control. Outdoor equipment: 50m2 surface pool, equipped with electrolysis, the most advanced technology in terms of water salinization. Next to the pool there is a complete exterior bathroom, as well as an outdoor space with barbecue / paellero. Wooden carport for two vehicles. Ecological waste treatment plant. Equipped with security systems and alarm surveillance, connected to police 24 hours. It is a great opportunity, due to its location, quality of materials, architectural design and panoramic views, pre-owned, sold at cost, by transfer.